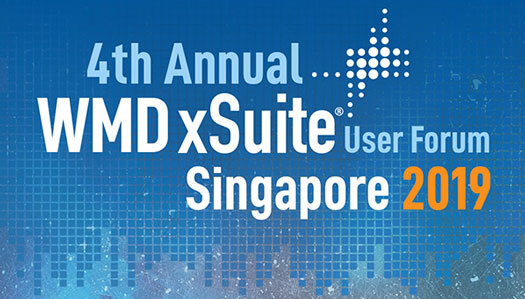 WMD Asia is looking forward to hosting all existing customers, their management teams and xFlow key users to join the annual xSuite USER Forum on April 24, 2019, in Singapore! Find out all about the latest xSuite solution offerings and learn how to apply our technologies to further improve your financial processes. In combination with the USER FORUM, we are inviting you to take part in a free xFlow Admin-Refresh seminar, which you shouldn’t miss! For registration or questions please send an email to mott@wmd.de (Customers only). This year's USER FOURM will take place in Huone Events Hotel in the heart of Singapore, in Clarke Quay.